The price of pot is dropping across Alaska. Here’s why. The cost of legal marijuana in Alaska is dropping. A year ago, it was far more expensive to buy cannabis from a legal retailer than on the black market, sellers say. 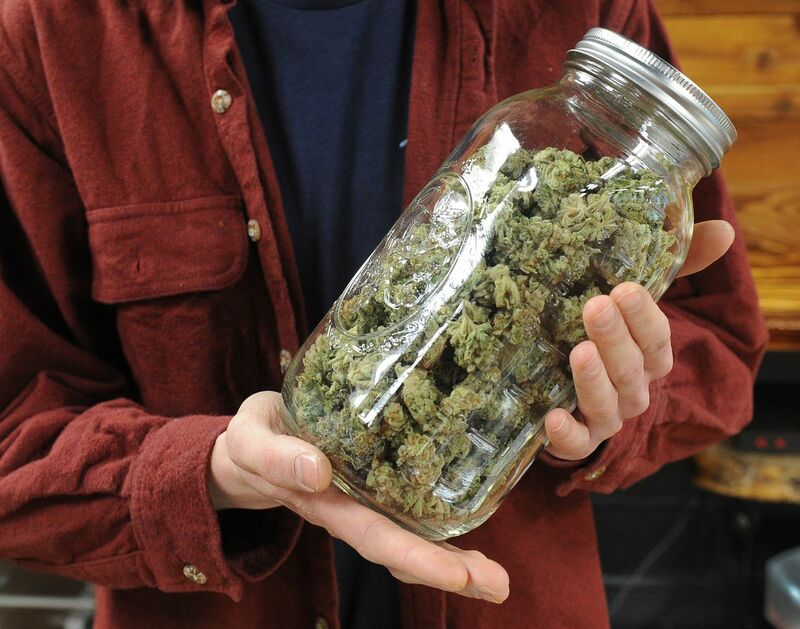 And while some marijuana is still being sold for far more than the going black-market rate, now consumers can find weed that matches up with illegal prices, according to interviews with businesses and a review of listed prices across Alaska. But some say that as more growers enter the market, prompting prices to continue to drop, cultivators may soon find themselves shuttering their doors, unable to cover their expenses. With April 20 celebrated as an unofficial marijuana holiday, some stores are offering deep discounts or flash sales — four joints for $20! — in a kind of Black Friday for cannabis aficionados. For consumers of legal weed, far more affordable cannabis is available today than a year ago. At this point in 2017, an eighth of an ounce generally ranged from $60 to $88 in Alaska. Not anymore. Of 32 marijuana retailers in the state's three largest cities, listed prices ranged Thursday from $30 to $80 for an eighth of an ounce. "There's definitely a lot more product on the market, but I believe that if you have a top-shelf product, you can still demand a higher price," said Jordan Huss, executive vice president of Great Northern Cannabis, an Anchorage-based shop that also has a cultivation license. The average cost of the lowest-priced varieties of marijuana on sale at 19 stores in Anchorage was $43 for an eighth of an ounce Thursday, according to prices posted by retailers to Weed Maps, a website that serves as a clearinghouse for retail prices across the state and the country. A Daily News review of the lowest- and highest-cost varieties listed at each store in Alaska found that prices are slightly higher in Anchorage than in Fairbanks ($40.22 for an eighth of an ounce) and Juneau ($42.75). Anchorage retailers pay a 5 percent excise tax. Juneau retailers pay an 8 percent excise tax. And Fairbanks shops within city limits pay a 5 percent tax. Alaska prices remain far higher than legal marijuana sales in Seattle, the website shows. 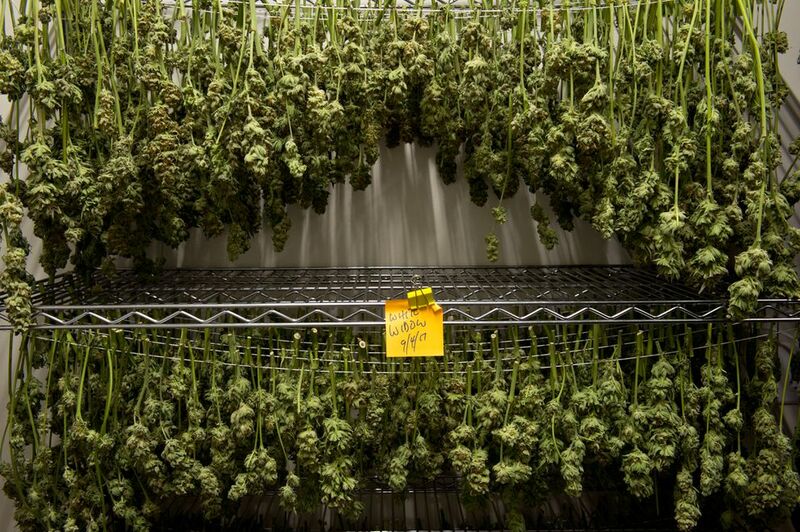 By comparison, black-market prices are around $200 for a "decent" ounce, said Leif Abel, co-owner of the Greatland Ganja cultivation facility in Kasilof. Black-market prices for an eighth are around $40 in urban areas. In rural areas, those prices can be much higher — more than $150 an eighth in the Yukon-Kuskokwim Delta, according to Alaska State Troopers. Abel says many people still buy illegally to save money. "They are insulted (by retail prices)," he said of consumers. But there are regulatory forces at play, Abel said, that consumers may not know about. Bargaining power has shifted from grower to retailer, Abel said. "A year ago, I didn't have enough product to serve everybody and I ran out, and I was getting bombarded. Now, it's the other way around," Abel said. In the past year, the number of marijuana growers paying taxes has more than tripled. Only 29 growers sold marijuana wholesale a year ago. By March, about 90 growers were paying taxes, according to estimates from the Alaska Department of Revenue's tax division — a more than threefold increase. "There's definitely an imbalance of cultivation to retail," Huss said. A total of 124 growers and 56 retailers have received their final approval to start operating, according to data from the Alcohol and Marijuana Control Office. The shifting market has dropped the price. Last year, Abel sold a pound of marijuana to Alaska retailers for $5,000, including taxes, packaging and delivery. Now, he's cut his prices almost in half, he said, although he declined to give a specific price. He has to hold his cards closer to his chest now, he said, as competition has increased and his strategy has evolved. More growers also means a bigger back stock of cannabis, Abel said. "There's literally a bunch of subgrade, midgrade flower in the state that almost has nowhere to go," Abel said. In Fairbanks, Tanana Herb Co. owner Leslea Nunley agreed that now, the situation has changed for growers like her. "You have to go pitch your product," Nunley said. Nunley said that wholesale top-shelf marijuana is selling for around $3,800 to $4,000 a pound. Last year, that price was $4,200 to $5,800 a pound. The price Nunley can demand seems to depend on THC content, she said. THC is the psychoactive ingredient that gets people high. And Alaskans buying on the legal market are shopping for it. "Alaskans have an obsession with marijuana that tests over 20 percent (THC)," said Brandon Emmett, a Marijuana Control Board member and a cannabis manufacturer. As a manufacturer, Emmett can use either trim (like the leaves and stem of a plant) or bud to make products like concentrates. So growers come to him with marijuana that they can't sell. "If someone's bud doesn't test over 20 percent, there's so much out there now that's below 20 (percent) that a lot of these guys, they can't sell it," at least not for a price that covers their costs, Emmett said. Many in the industry say that buying marijuana based only on THC doesn't make sense. Every strain of cannabis has a different terpene profile — chemical compounds in marijuana that work together to create different effects — but THC is the main chemical that is tested for, and considered by consumers, businesses say. "People are generally shopping based on potency, which I think is kind of missing the boat," Huss said. Meanwhile, Emmett said he's seen the price of trim fall from more than $1,200 a pound to under $1,000, and in rare cases, under $500 a pound. Still, some say prices are too steep to sway Alaskans who get marijuana from the black market to change their routine. Higher prices are due to a lot of factors, businesses say. Many businesses are still trying to recoup their investment costs. Overhead is high. Federal tax law doesn't allow cannabis companies to take standard business deductions. "At the end of the day, when we pay our (federal) taxes, there's not a lot of meat left on that bone," Huss said. And then there is the state's $50-an-ounce excise tax. Emmett says he is trying to get the Legislature to change the state tax to avoid what he feels is an upcoming wave of growers closing their doors. Prices are being driven down by the market, Emmett said. But the state's tax — which is levied on the grower on the production side — keeps prices elevated. As more grows come online, and the price of marijuana continues to fall, Emmett says some growers are going to shut down. Soon, Emmett thinks, "the price of marijuana is going to fall below what the price of production and excise tax is combined." That means only the larger companies will be able to shoulder the strain, Emmett said, and "mom and pop" operations may go out of business. He is seeking a change to the way the state tax is structured, an issue the Marijuana Control Board plans to tackle at an upcoming meeting. Emmett says he hears on a daily basis from people who are "barely keeping the lights on." "Sometimes it's heartbreaking when I'm negotiating with people for product," Emmett said. 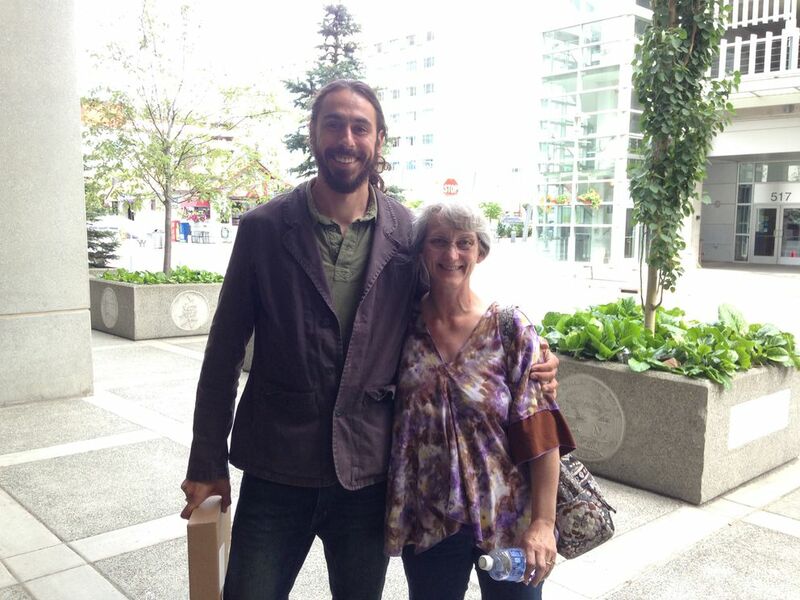 Anchorage Daily News special projects editor Kyle Hopkins contributed to this story.